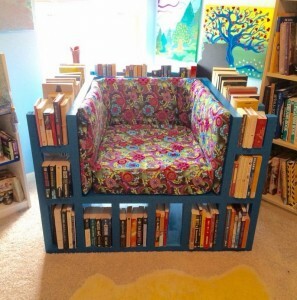 Wouldn’t it be nice to have your own little private space? Whether it be for studying, working, taking naps, reading, or just spending some time alone. The good news is that you don’t need to add an extra room in your home to create a secret space. 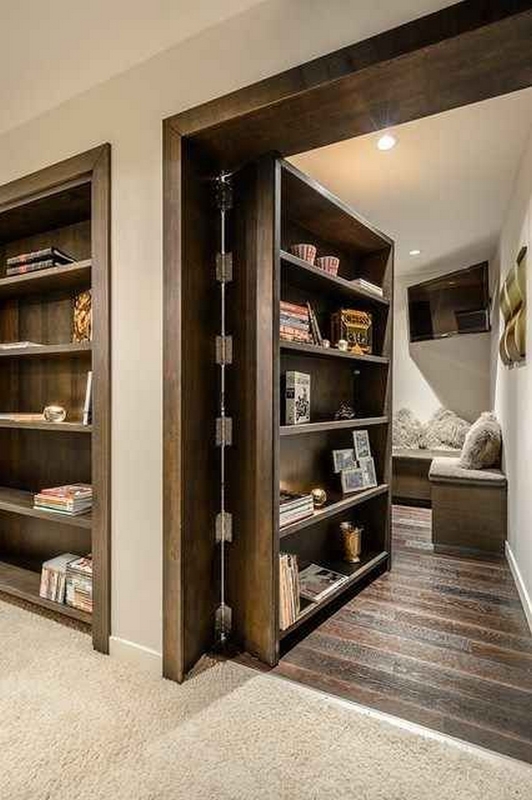 You can turn any room into a private space by using bookcases as hidden doors. Would you like your own secret room? Reinforce walls. When I pulled off the existing molding, there were weak shims holding the frame. I had to remove these and fill with solid wood on the top and sides since they will support a lot of weight. Surface prep. After securing the frame to the studs with 3″ deck screws, I needed to finish the wallboard to be smooth. Using these heavy duty hinges I found, I shimmed them for easier placement. I bought 3″ screws for added strength. The 500lb full extension bearing slides were attached to the top and bottom of the hinged door. I determined that 14″ slide movement was optimal. 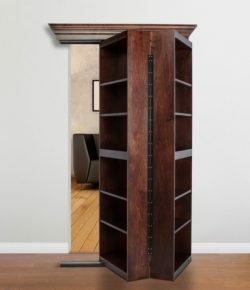 This was the first bookcase I built. I drilled 5″ holes to allow shelves to be adjustable. The sides were glued to the back using #10 biscuits (5 per side). The top and bottom were permanently glued in dado slots. The 2nd door was attached to its slides. Some shelves were added. 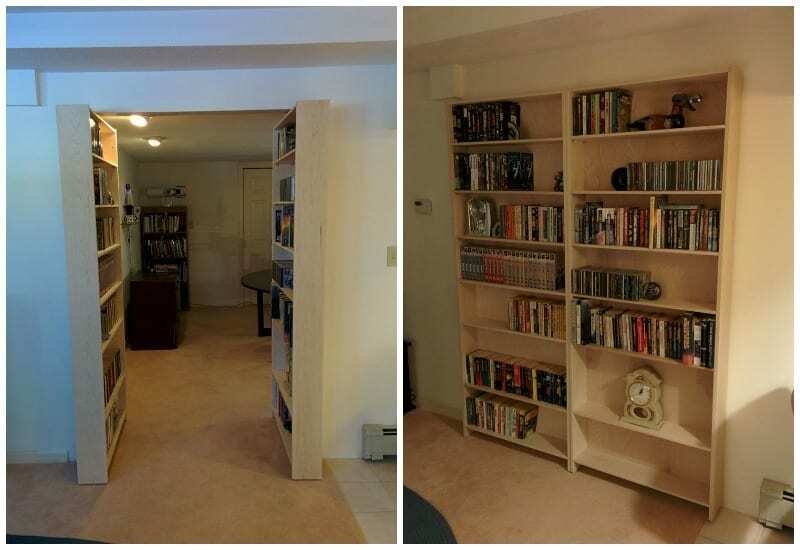 I allowed about 1/4″ clearance between the back of the book case and the wall and on the top and bottom. This helps reduce the amount of light that could leak out and ruin the illusion. I may staple in black felt to further insulate them. Two small handles were added to allow closing from the inside. I could have spent more time choosing better wood but I didn’t consider how the inside would look until completed. Thanks to SPECTREcat for this great tutorial! Previous PostMake This ‘Under The Staircase’ Cabinet!